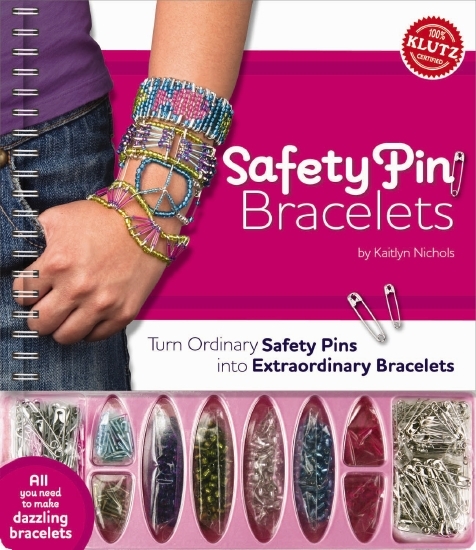 Safety Pin Bracelets shows how anyone can craft an entire collection of brilliantly sparkling jewellery out of garden-variety safety pins. The book includes 12 unique bracelet designs. From waves that swirl around your wrist, to fancy fan shapes, to pixilated pictures that look like bead mosaics, all the styles give the humble safety pin unprecedented glamour. Whichever design you choose, you pick the colours and patterns so each bracelet is uniquely you.